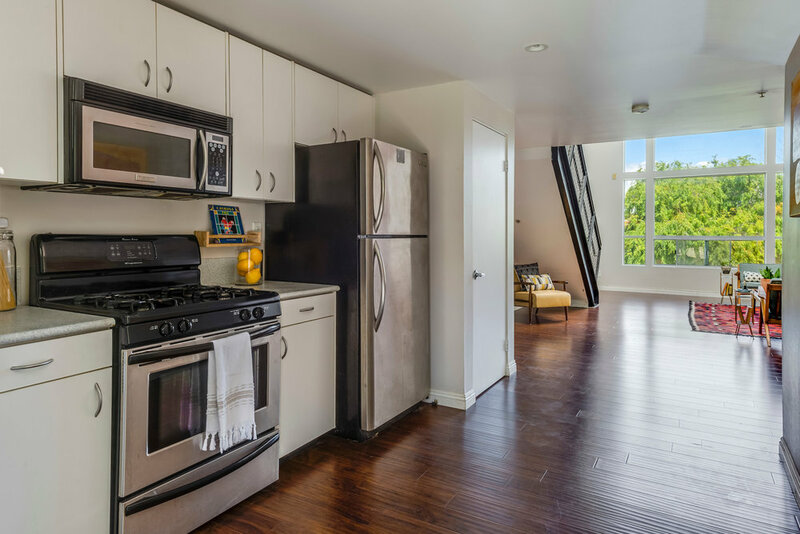 Inspired loft living in the East Village Arts District. 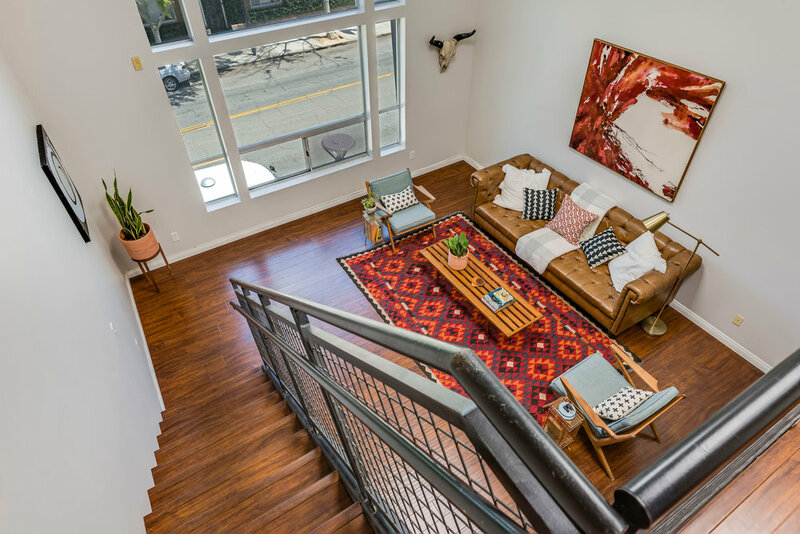 Enter to find an open floor plan with 16' tall ceilings and a wall of windows that flood the loft with natural light. 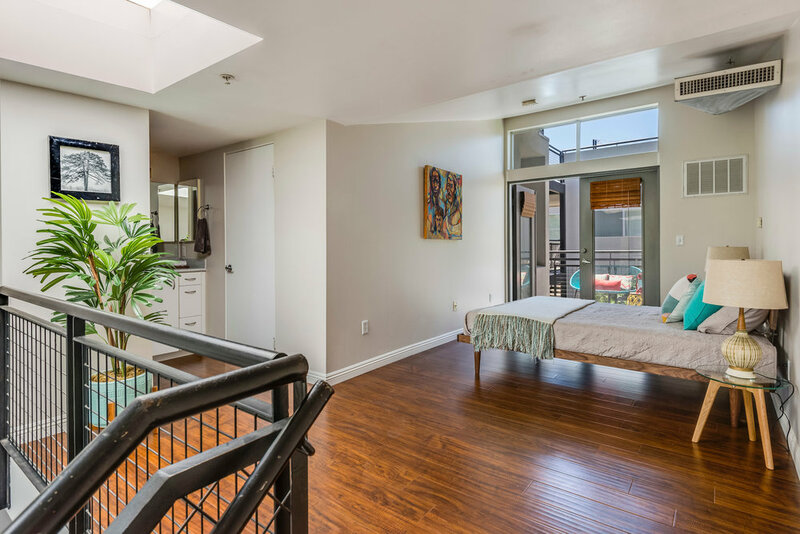 Additionally, two large skylights bring in the sun and moonlight from above. 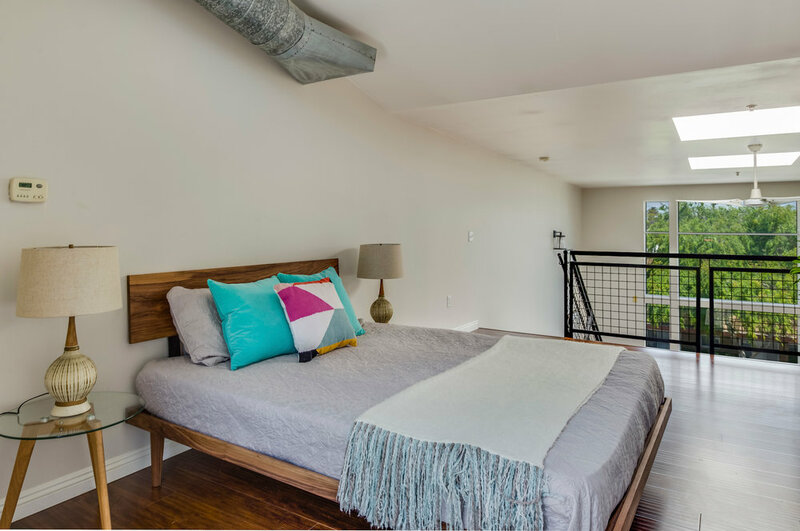 A dramatic steel faced stairwell leads to the spacious bedroom level and en suite bathroom. 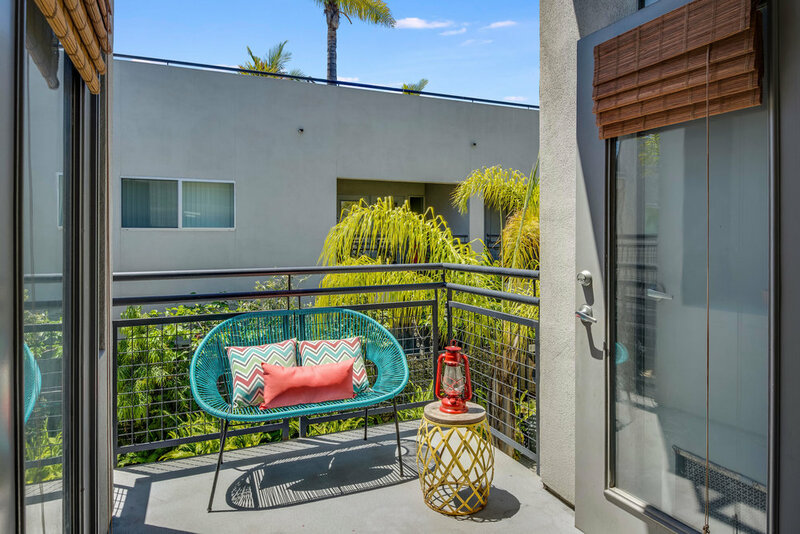 Glass paneled french doors swing out to a private and elevated patio space with all day South facing sunlight. 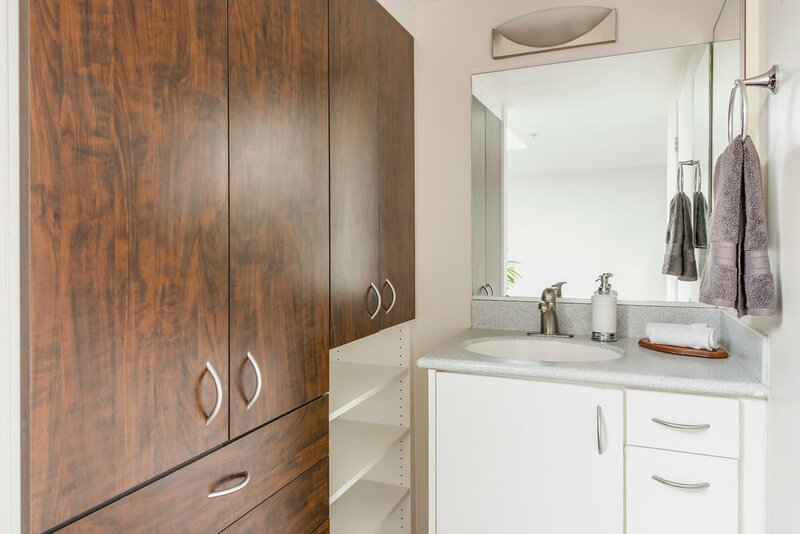 The unit includes forced air heating and central A/C, and stackable laundry in closet. 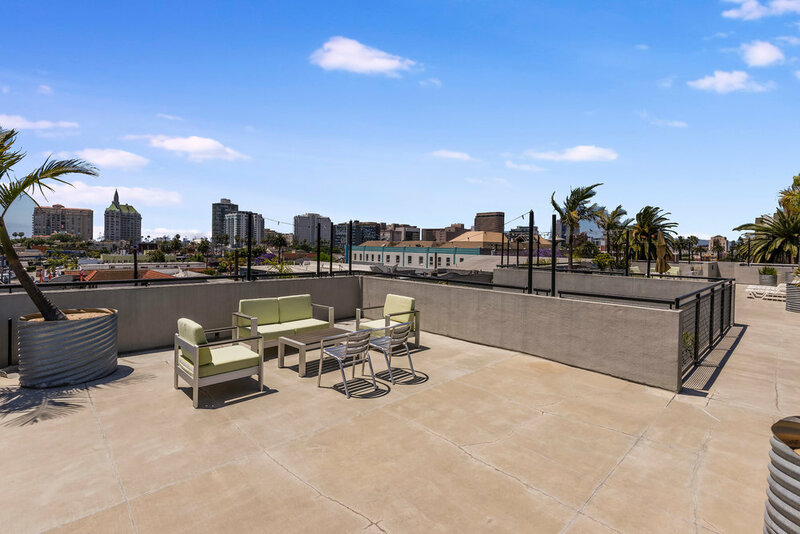 A common area rooftop patio has panoramic views of the Long Beach skyline, plus gas grills for resident use and more than ample space for entertaining guests. 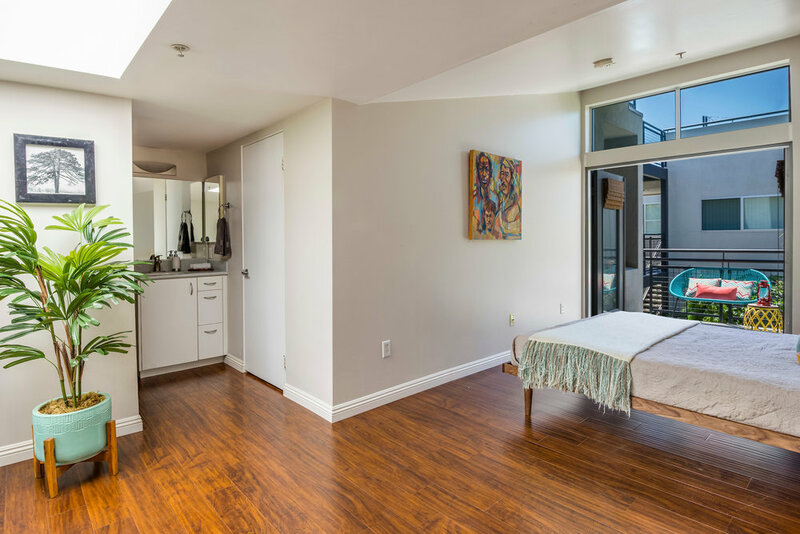 Secure underground parking is included with the unit, and the building has a separate parking level for use by guests. 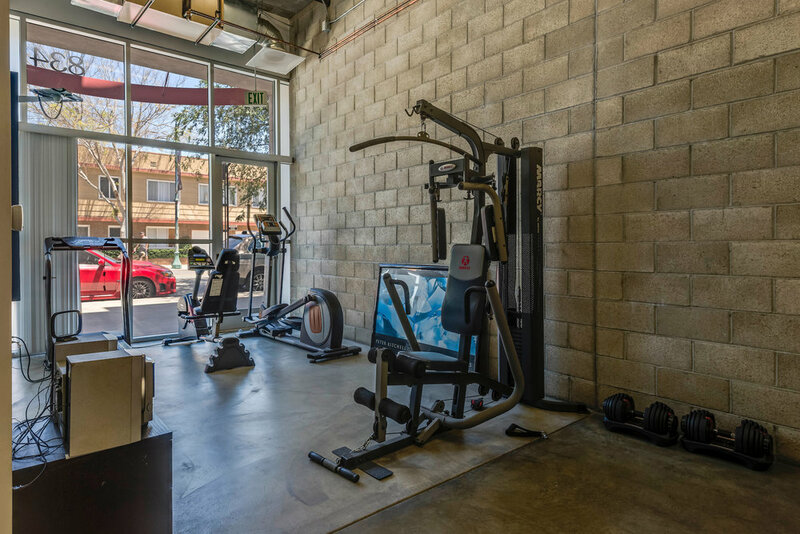 A small gym/conference room is at street level. 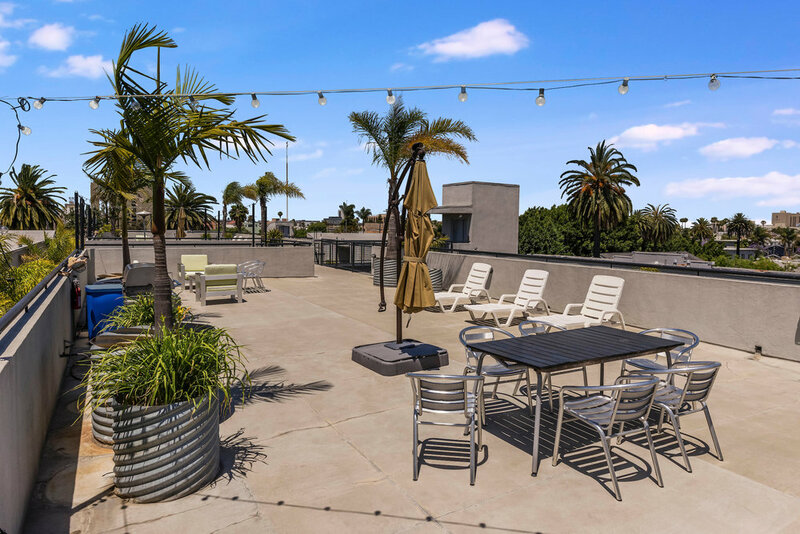 Well situated in burgeoning Downtown Long Beach-with it's fine dining, shopping, nightlife, and famed beachfront all in close proximity. 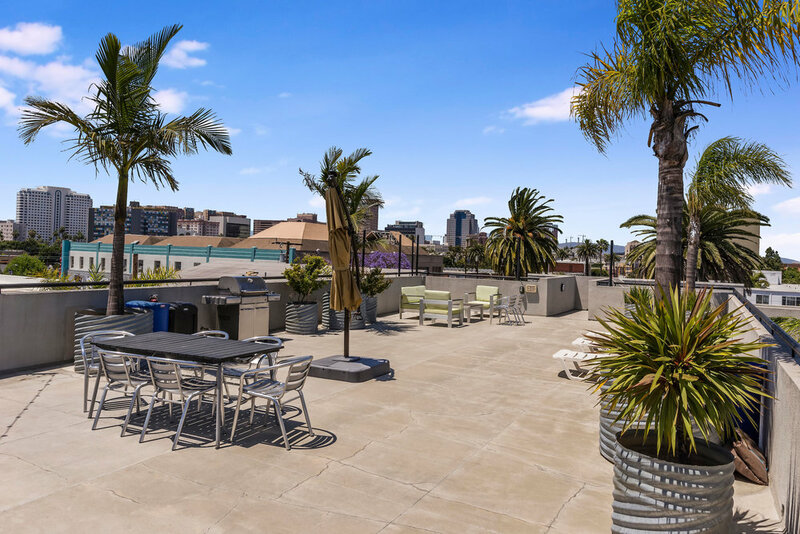 Berlin, Seabirds, Fourth & Olive Bistro, Panvimarn Thai, and Beer Belly are just a small sample of the restaurants within a few short blocks. 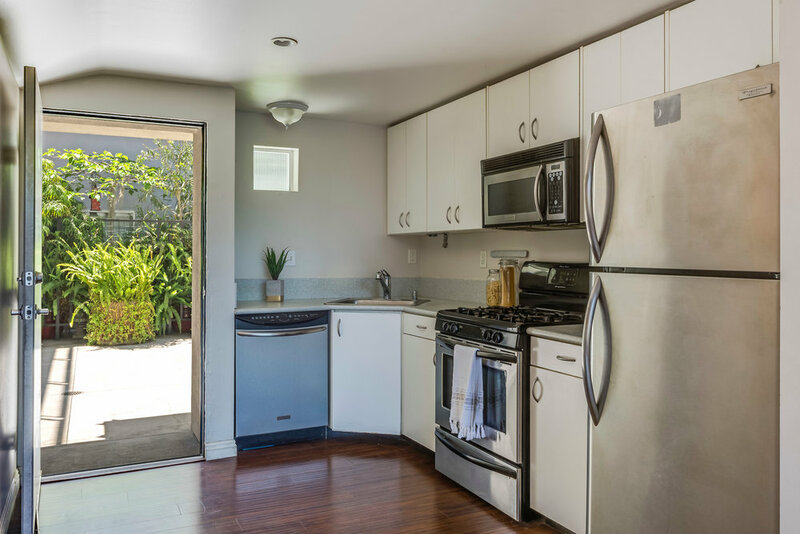 Low, $317/month HOA fee.